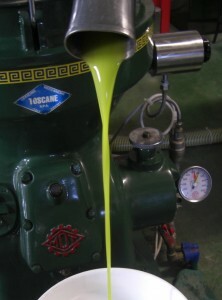 If you come to Tuscany In the autumn you will hopefully have the pleasure of enjoying some newly pressed olive oil. At the end of October there is a Festa dell’Olio in Montisi, now into its thirteenth year, it has become a well attended festival, drawing people from all over Italy. The Main street is lined with stands selling arts and crafts and of course new oil, wine, truffles, honey etc. 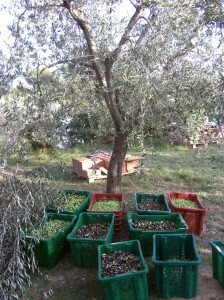 and the four Contradas are all open for lunch and dinner, serving various dishes and making the most of the new oil. The cooking is as always very good and there is a certain amount of competition and discussion about who serves the best food. 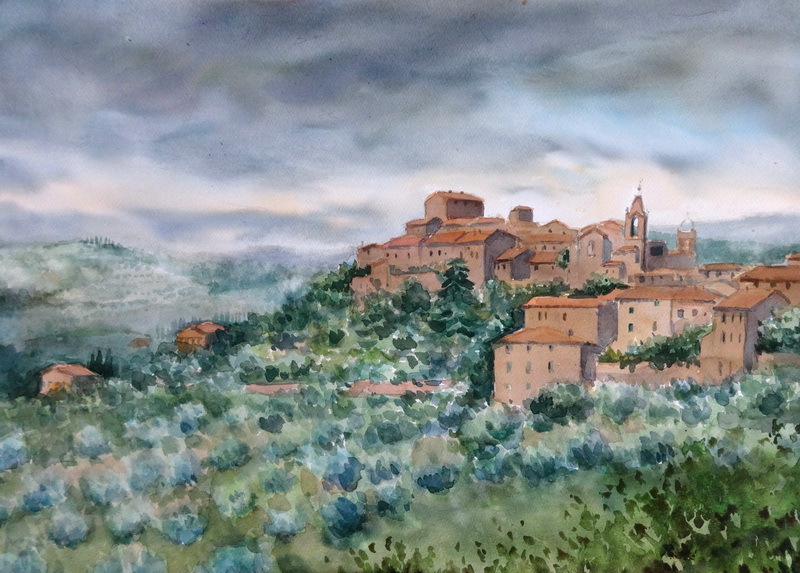 I had open studio as I do every year because I am in the higher part of the village and we have to maintain a presence to help tempt people up the slope to the Castello contrada which is the only contrada not on the main street. The Castello contrada chocolate cake with olive oil cream was doing a very good job getting people up to the Contrada along with all the other excellent dishes. During the festival there are various entertainments including marching bands and medieval singers just to add to the atmosphere of the seasonal festivities. I met you back in March, when my new husband and I visited Tuscany on our honeymoon and you graciously gave us a tour of your studio after happening upon your courtyard! You were SO hospitable and lovely! It was a highlight of our trip! We bought some of your cards, but I was wondering — can your artwork be purchased “long distance”? And/or have you published a book of your works? Merry Christmas from Texas, USA! Thank you for the lovely email. Yes, of course you can purchase my paintings: The first galleries on the website Oil paintings and Watercolours section, show the latest and available paintings with sizes and prices on them. I can ship them via (Mailboxes etc.) I would love to do a book in the future but that will have to wait for another year. Happy Christmas to you as well.